With the opening of the Dutch Branch of The Best Friend organisation The Netherlands takes its first steps toward creating awareness of the Burmese struggle for democracy. The Netherlands is poised to play a new role in the ‘Saffron Revolution’ in Burma, following the launch of the Dutch branch of The Best Friend, an international organization founded by Burmese political exiles and devoted to spreading democracy in the South Asian country officially known by the ruling millitary junta as Myanmar. And as the country struggles to find peace, its thousands of saffron robed monks will sureley take a leading role. A tiny minority in a country of 56 million, they nonetheless wield considerable political power. 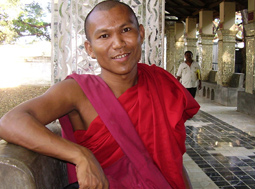 The monks are planning a mass protest in October if the government fails to take public responsibility for the events of the government crackdown in September 2007, in which demonstrations against an increase in fuel prices caused by an end of state subsidies grew to include broader grievances against the government and were brutally repressed. Officials claimed that 13 protesters died in that incident, but independent sources estimated that hundreds were killed and as many as 6.000 were arrested, many of whom were never seen again. The situation in Burma has deteriorated so markedly since then that in August alone, more than 30.000 Burmese crossed the border into China, according to the U.S. Campaign for Burma. 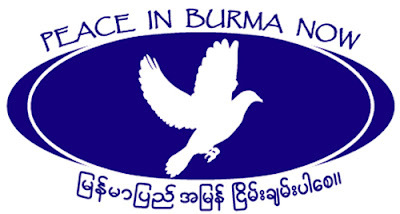 They joined the more than 180.000 Burmese worldwide who consider themselves political refugees, according to the United Nations High Commission for Refugees. The monks’ threat to stop accepting alms – a form of strike or boycott that would be equivalent to a Buddhist excommunication of the ruling generals -would be a major blow to the legitimacy of the junta, according to Kovida. “Traditionally the kings were recognized by the monks, and if the monks turn over their bowls the junta won’t feel recognized by the people.” The government has promised that such a protest would be met by “severe action.” Accompanying such internal pressures on the regime should be increased by international trade repercussions, Kovida suggests. Several major international conglomerates, including Texaco and American Tobacco, have pulled out of Burma, a development that Kovida applauds. The United States and the European Community, with the strong backing of The Netherlands, have imposed sanctions. India and China, however, determined to maintain links with a country rich in resources like gas, timber, and precious stones have yet to do so. “Sanctions are necessary, but sanctions alone cannot achieve democracy in Burma.” says Kovida, who supports the increased involvement of the United Nations, even if that means military intervention. But such a step is unlikely, given that the UN Security Council has recently been unable to achieve the consensus required to issue a statement urging the junta to take steps toward democracy: They call it the United Nations, bul I call it the Divided Nations,” says Kovida, who no longer counts on the organization to convince the generals to step aside.